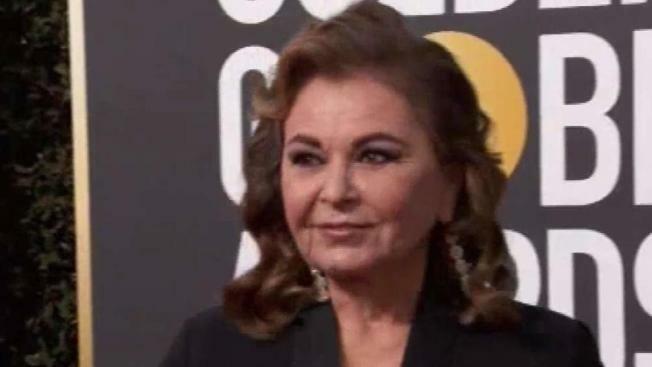 Barr said she's not racist but described herself as an "idiot who made a bad joke"
Roseanne Barr says she isn't a racist, just a sleepless "idiot who made a bad joke." 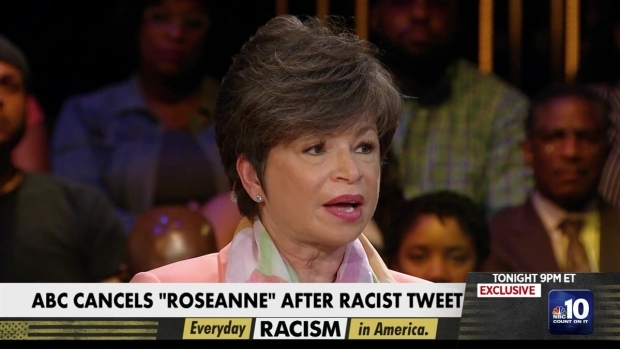 In the hours after her hit show "Roseanne" was canceled, Barr tried to explain that she was on Ambien when she commented that former President Barack Obama adviser Valerie Jarrett looked like an ape. The remark brought a rebuke from the maker of the sleep aid, which said "racism is not a known side effect of any" of the company's medications. Barr's Ambien remarks came in a pair of tweets that were later deleted, in which she also said the drug wasn't an excuse for the comment. 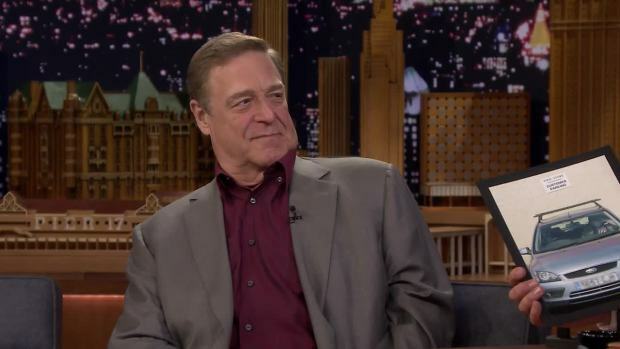 "I think Joe Rogan is right about ambien. Not giving excuses for what I did(tweeted) but I’ve done weird stuff while on ambien-cracked eggs on the wall at 2am etc -" Barr said. Rogan is a podcast and former TV host. Barr added later, "guys I did something unforgiveable so do not defend me. It was 2 in the morning and I was ambien tweeting-it was memorial day too-I went 2 far & do not want it defended-it was egregious indefensible. I made a mistake I wish I hadn’t but…don’t defend it please. ty"
When another Twitter user said she was defending her tweets, Barr replied, "I BLAME MYSELF OK? it's just an explanation not an excuse." She told a supporter of hers, "i'm not a racist, just an idiot who made a bad joke. thank you for defending me tho." But asked about Barr's tweets, the company that makes Ambien, Sanofi, fired back that its medications don't cause racism. "People of all races, religions and nationalities work at Sanofi every day to improve the lives of people around the world. While all pharmaceutical treatments have side effects, racism is not a known side effect of any Sanofi medication," spokeswoman Ashleigh Koss said in a statement. Ambien is known to cause "abnormal thinking, behavioral changes and complex behaviors" including "sleep-driving" and hallucinations. Users are advised to have behavioral changes evaluated immediately. Barr's initial tweet on Jarrett was roundly rebuked as it went viral and deemed "abhorrent, repugnant and inconsistent with our values" by ABC Entertainment President Channing Dungey, who announced the show was being canceled within hours. Disney CEO Bob Iger added that cancellation was "the right thing" to do. On Wednesday, President Donald Trump took to Twitter to question why he hasn't gotten any calls from Iger apologizing "for the HORRIBLE statements made and said about me on ABC" when Jarrett had said Iger called her about Barr. He didn't explain what statements he was referring to. Trump has been a booster of "Roseanne," and the tweet was his first comment since its cancellation. White House press secretary Sarah Huckabee Sanders said later Wednesday that Trump was merely calling out "media bias," not defending Barr's comments. On Tuesday, the White House wouldn't say whether he thought the show should be canceled. "I think that we have a lot bigger things going on in the country right now, certainly that the President is spending his time when it comes to policy," Sanders said. Barr apologized to Jarrett, who later called the incident a "teaching moment" about race in America, and vowed to leave Twitter. But she continued tweeting late into the night and on into the morning. 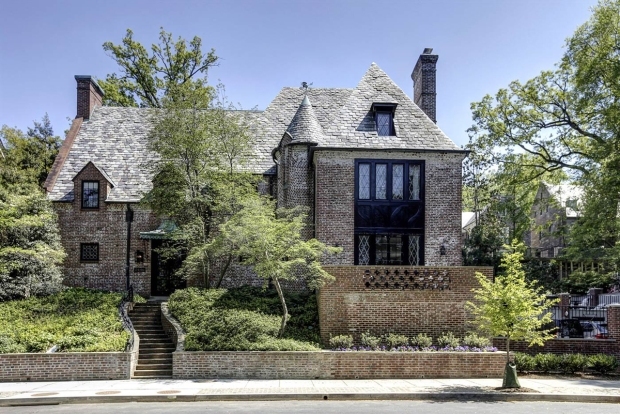 Among the activity, Barr retweeted a comment about another controversial claim she made, the false accusation that Jewish billionaire and Holocaust survivor George Soros collaborated with Nazis when he was a boy in Hungary. And Barr retweeted others who claimed that ABC was hypocritical for singling her out when other people on the network have said controversial things. 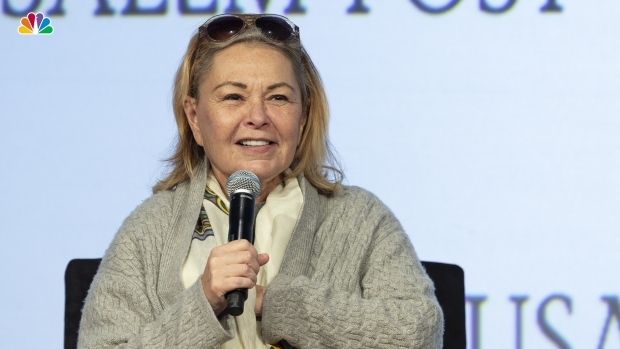 Other members of the "Roseanne" cast spoke out against Barr's remarks, and she took notice. "You throw me under the bus," Barr tweeted at Michael Fishman. "Wow! 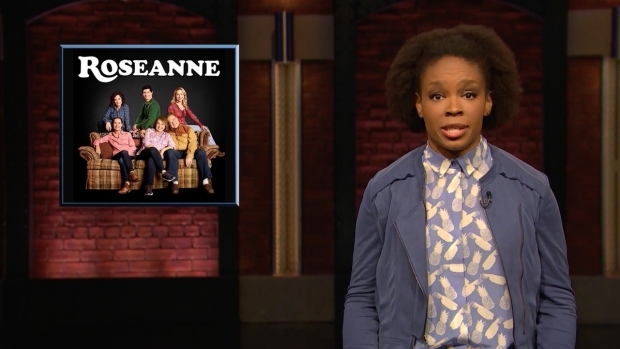 Unreal," she said in reply to Sara Gilbert. When supporters of Barr's called Gilbert thankless and disloyal, Barr replied that she feels bad for Trump, who "goes thru this every single day."